The National Multiple Sclerosis (MS) Society, Arizona Chapter, marks the Annual MS Service Day on July 18, when local volunteers will take part in visiting homes throughout Arizona to help individuals living with MS complete household chores, yard work, shopping and more. 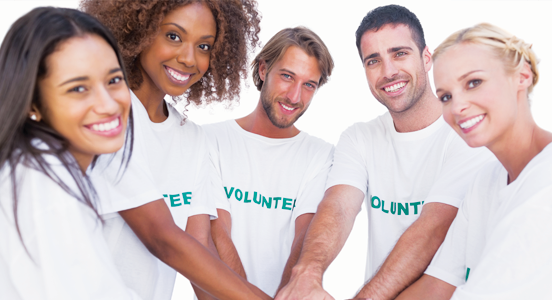 Applications to participate in the 2015 Arizona MS Service Day are due the week of July 1. To complete an application to receive service or volunteer, contact erika.edholm@nmss.org. Multiple sclerosis is a life-altering disease that affects each person in unique and different ways. The condition disrupts the flow of information within the brain and destroys connections and divides minds from bodies. "For anyone living with MS, everyday tasks can be as challenging as the disease progresses. We have about 8,000 people identified as living with MS in Arizona," said Karen LaPolice Cummins, the chapter president of the National MS Society Arizona Chapter. The National MS Society is a prominent force in forging connections among people with MS, friends and colleagues who raise awareness and funds, people who treat those with MS, and people who research ways to stop MS, restore function lost to MS and end MS forever. This has helped move MS in less than two decades from being an untreatable disease to one where there are at least eight treatment options for those with relapsing MS, the most common form of the disease. And there are now even more new therapies speeding through the pipeline offering hope to people with all forms of the disease. The Arizona chapter encompasses all 15 counties in Arizona and delivers programs and services to the more than 8,000 people living with MS in the state.